The Pulitzer Prize winner Junot Diaz, highfalutin' literary author though he may be, has famously mourned the fact that there will be no more Octavia Butler books. The iconic Black author, who won both a PEN Lifetime Achievement Award and a MacArthur "Genius" grant—not to mention the Hugo, the Nebula, and the Locus—died in 2006, leaving behind her nearly twenty of the most enduring science fiction and fantasy books of all time, which explore themes related to race, class, gender, and the environment in ways few of even her most prescient peers could imagine. But to mourn for Butler is to overlook the fact that the Black speculative tradition in the U.S. is alive and well, and women are leading the charge. From Afrofuturism to vampire epics, Caribbean ghost stories to alternate histories, their books are equal parts escapism and engagement, shining light on the politics of the present moment even as they open doorways to other worlds. Meet five of the reigning queens of spec fic. 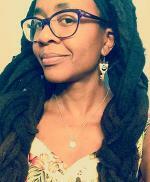 Some things you should know about Dr. Okorafor: 1) she's won both the Hugo and the Nebula (for her Binti series) and the Wole Soyinka Award for African Literature (for Zahrah the Windseeker); 2) she's written for Marvel, creating the first African superhero in their universe, Ngozi; 3) her fans include folks like Neil Gaiman and George R.R. Martin; 4) the latter is turning her novella, Who Fears Death, into an HBO series. Recommended reading: Akata Witch (Deemed "the Nigerian Harry Potter," this novel follows a quartet of magic students who must catch a career criminal who knows magic too, employing spellcraft, shape-shifting, and interdimensional travel). 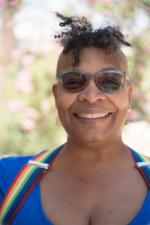 Nalo Hopkinson was born in Jamaica and has lived in Trinidad, Guyana, Canada, and the U.S. (she currently serves as professor of Creative Writing at the UC Riverside, where she's a member of a research cluster in science fiction). She's the author of nine books of fiction—including the collection Skin Folk, which won the World Fantasy Award—all of which explore the rich mythologies of the Afro-Caribbean tradition, often through a queer lens. The New Yorker terms Hopkinson's work "science-fiction histories and science-fiction fairy tales." The aforementioned Junot Diaz says, "I have read everything she has written and am in awe of her many gifts." Unlike Nnedi Okorafor and Nalo Hopkinson, Nisi Shawl does not have a list of books a mile long—in fact, she has only two: Filter House, her 2008 collection (which won the James Tiptree Award) and a novel, Everfair, which was published in September 2016 (which, over a year later, remains an Amazon bestseller in Steampunk). What Shawl does have is a long and respected history as a short story writer, with work regularly appearing in places like Apex, Asimov's, Strange Horizons, and The Best American Science Fiction and Fantasy. 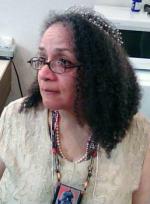 An iconic speculative author who works in fantasy, science fiction, and horror with equal dexterity, Shawl headlined the nation's largest feminist speculative fiction conference, WisCon, in 2010. To say that her fans have been looking forward to her first foray into long-form fiction would be an understatement. Peter Straub is a fan of Tananarive Due, as is Stephen King—as was the queen herself, Octavia Butler. Equally at home in speculative, paranormal, historical fiction, and mystery, Due is the author of twelve works of fiction and a civil rights memoir. 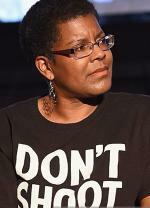 (Her mother, a civil rights activist, spent 49 days in a Tallahassee jail after a sit-in at Woolworth's.) Originally from Florida, Due is a former Cosby Chair in the Humanities at Spelman College, where she taught screenwriting, creative writing and journalism; currently, she teaches in the MFA program at Antioch in L.A. A recipient of the American Book Award and NAACP Image Award, Due has gained a serious following in the 20+ years since her debut novel, The Between, was published; in 2015, her first collection of short fiction, Ghost Summer, was published, to critical acclaim. 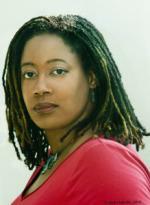 Author and reviewer N(ora) K. Jemisin won the Locus Award for her first novel, The Hundred Thousand Kingdoms, and she has been making waves in speculative fiction ever since. Jemisin was the first Black author to win the Hugo for Best Novel, for The Fifth Season, in 2016, and then, because she's just that badass, she won another Hugo in 2017 for The Obelisk Gate. Now The Fifth Season is being developed as a series for TNT, and this Brooklyn-based author, who used a Patreon campaign to quit her day job as a therapist, can pretty much do whatever the hell she wants. This includes writing a New York Times book review column, Otherworldly, covering the latest in science fiction and fantasy. All right, friends, now it's your turn. Who did I miss? Who are the other queens who should be on this list? Please share your thoughts in the comments. Susan DeFreitas has never been able to choose between fantasy and reality, so she lives and writes in both. 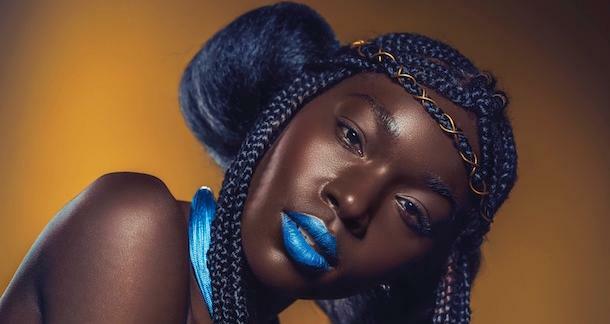 A first-generation American of Caribbean descent, she was born and raised in rural west Michigan and spent fourteen years in the high country of Arizona before moving to Portland, Oregon, where she has served as a collaborative editor with Indigo Editing & Publications since 2010. She is the author of the novel Hot Season, which won a 2017 Gold IPPY Award; her fiction, nonfiction, and poetry has been featured in more than thirty journals and anthologies. She enjoys mysterious books, strange weather, thinking machines, and sketchy characters.